Hi, my name is Herb Manning, and we are Homes by Herb. We've lived in Grove, OK for over 14 years and I've been in construction for over 20 years. In this time, we've built over 100 homes, and made many new friends. My three children were born here and I could never imagine living anywhere else. We are located on beautiful Grand Lake in Grove, Oklahoma. Whether you are a weekender or a full time resident, a retiree or a family with small children, there's something here for everyone. At Homes by Herb, our philosophy is to give you a fine quality home at the best price. Our standard homes are all brick and rock so you never have to paint. Granite counter tops, tile showers, and custom woodwork are all standard. These are the types of houses you want to call home. Whether you want a 1500 sq ft cottage or a 4000 sq ft lake front home, we can meet your needs. 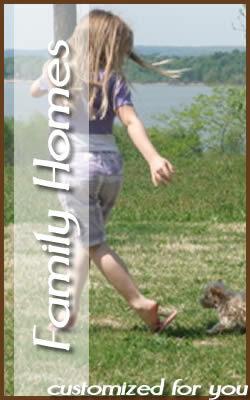 We have building lots available in all the nicest neighborhoods, both on and off the lake. We build both custom and spec homes. We can even build on your lot. We believe in building beautiful homes. We believe nothing is as beautiful as saving energy and the environment. With this in mind we look for ways to make your home as energy efficient and environmentally responsible as possible. At Homes by Herb, our standard homes are all brick and rock so you never have to paint. Granite counter tops, tile showers, and custom woodwork are all standard. These are the types of houses you want to call home.